Our high school plans have included lots of time for individual projects, enriching our academic studies. It was brought to my attention that I don’t talk much about Mr. B’s project learning time anymore. This is partly because he has really taken it over for himself and I don’t have a specific time built into our schedule for it and partly because his projects are done outside the home (like his volunteer work and running). During his former project time, which was after lunch, I orchestrated the study to a certain degree by finding books and materials to support his interests. He spent time exploring and learning on his own but I could usually be near-by so at the end of the week I could record what was accomplished and then at the end of the year mold the project into a course that I could give him credit for. So after some thought and discussion, Mr. B and I decided on a new project driven study. 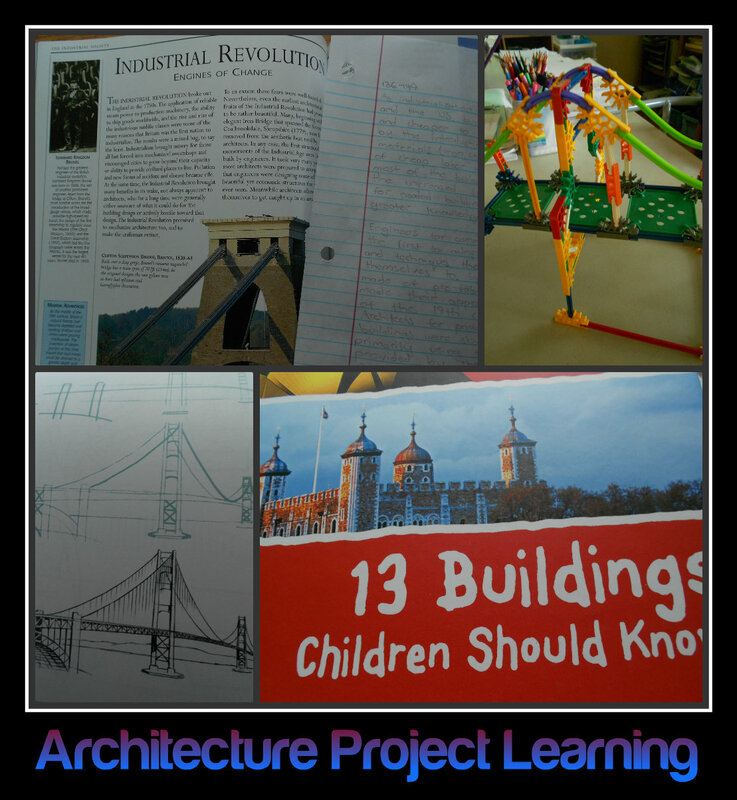 As part of our Tapestry of Grace studies, Mr. B has read portions of the book The Story of Architecture. Now we are focusing on the last sections in that book that will go along with his 20th century history study. These sections will be the spark to his project time and he will build from there by exploring topics, people, and places that come up. I am sure as the year progresses there will be other things to add to that spark which is why we love this style of learning so much. You never know where it will lead you. Netflix videos including a series called “Architectures” (http://architecturalvdos.blogspot.com/2009/11/architectures-video-series-by-reunion.html). There is also a series with California houses in it: America’s Castles – Hearst Castle, Scotty’s Castle. I have learned over the last five years that using this style of learning is never neat and tidy. As the parent/guide I need to be willing to adjust to changes in focus as they happen. This week he may be interested in the materials used to build a particular structure and next week he may need help answering a question about how a building’s feature was created. There needs to be a certain amount of trust in your child as you watch them work through the project. There needs to be a way of letting go and knowing that learning is taking place on their terms. They need to know that they can come to you if they get stuck and need some additional help or resources. I have planned for Mr. B to spend nine weeks at the end of this school year to complete a senior project in the art or music area of study. I am wide open to having him pick his own topic to research, or work on a project like learning a new art skill or musical instrument, or any other idea of his choosing. He may pick something related to his architecture study. Maybe a whole senior project on Frank Lloyd Wright? Maybe he will take an architectural drawing course or CAD drawing course? How about building models of actual buildings out of LEGOS? Project learning can create a base of learning done through self-education and spark further interest that leads to a more in-depth or concentrated study that stems from the original project. I have seen it happen in Mr. A and I hope to see it in Mr. B. It can be some of the most exciting learning you find in your homeschool because it comes from a child’s passion. Okay, it wouldn’t be a week from Harmony Art Mom if I didn’t share what we did for our 20th Century Art project this week. 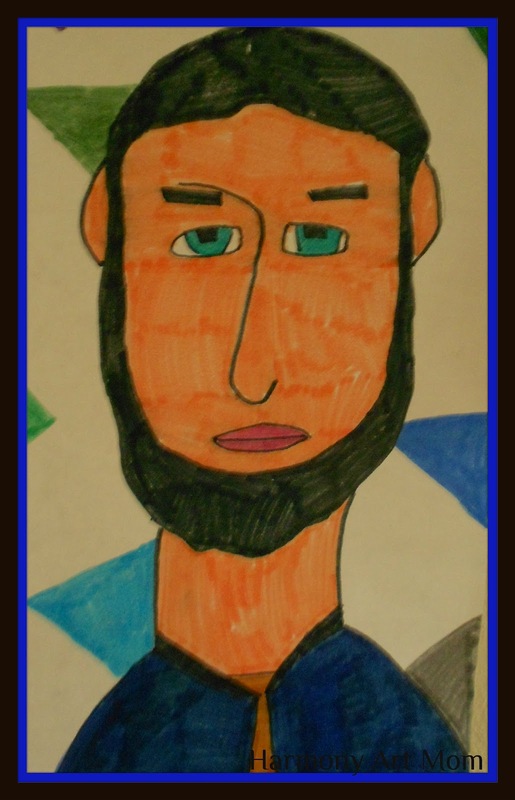 Mr. B viewed lots of Modigliani portraits and then used the idea from Art Project for Kids to create his own Modigliani style artwork. He chose to use markers instead of oil pastels. So much more to talk about this week but I will save it for next week. Barb — thanks for linking. I really appreciate the peek into my future when I read your blog… you give me faith and courage that homeschooling high school will be ok. 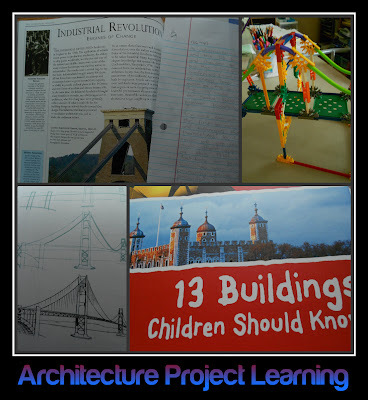 I love all of the architecture resources! Yes, it will be more than ok….it will be awesome. This will be my third son graduating from homeschool high school and it has been some of the best years of our adventure. It’s easy to do, just cut and paste the link and it automatically links back to your website. You can also add Articles, Photos, Videos and Classifieds if you like. 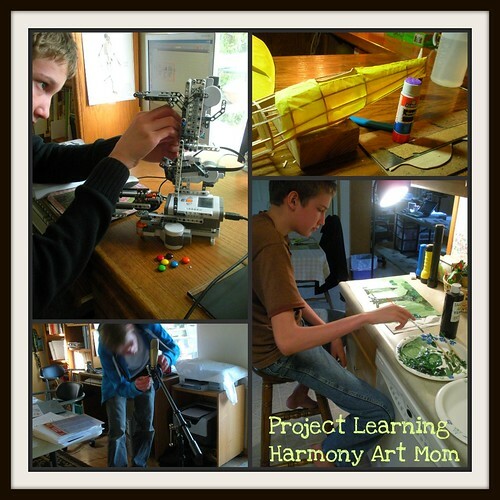 Barb, I am amazed at how you help guide your son but allow him to take on projects and learn “on his own terms.” Not because this is in any way weird, but that I have a hard time doing exactly that! My children are younger, of course, and need a bit more of Mama’s influence still. Otherwise, they’d choose to eat Twinkies (which I never buy, for the record) and read twaddle. When I read your posts, I always breathe a sigh of relief and go away encouraged. It does take extra effort to stay out of it…it is a delicate balance of watching, supporting, and nurturing. I always tell people who ask that they should just give it a try and see what develops. Inspiring. A major lightbulb went on for me about project based learning. How long will this architecture study last? All year? In high school do you have them pick a topic that you.can turn into a credit? I love the idea of this, but somehow whenever I mention turing an interest into a more involved learning opportunity (particularly for putting on a transcript in my oldest son’s case) it suddenly becomes uninteresting and too “schooly”. I try to maintain a “hands-off, teen-directed, interest-led” approach with me just suggesting materials, and asking for documentation on what is done, but that doesn’t even seem to work. An interest in video making is still just an interest (with a bit being done with friends here and there just for fun). And an interest in the history of 20th century music (which I thought could make a great elective for the transcript) hasn’t gone beyond “Okay, I’ll think about it.” How do I motivate him to turn some of these interests into more without killing the interest itself? Does that make any sense? Any suggestions? How about I write a post about how we nurture an interest as much as possible without killing it? I’d love to see a blog post on that topic, Barb! Thanks!